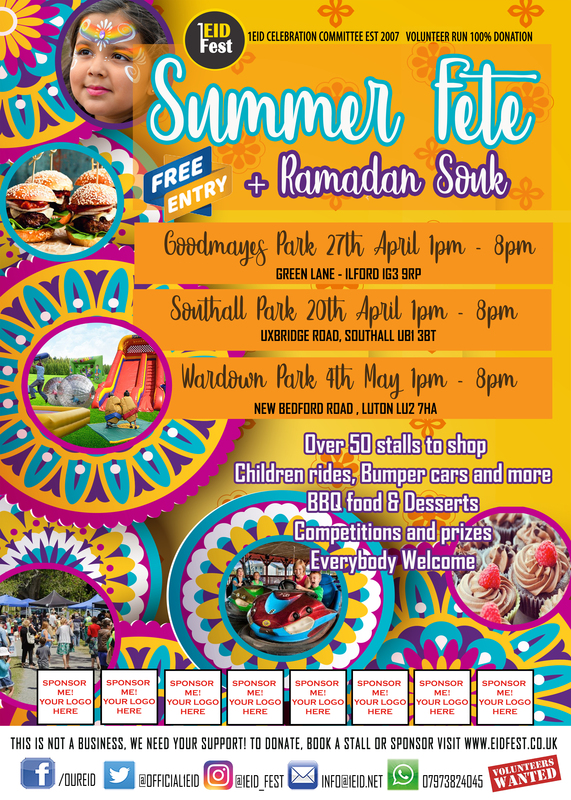 Summer Fete & Ramadan Souk ~ 1World. 1Ummah. 1Eid. One DAY FESTIVAL .. 1Eid will be hosting its magnificent Summer Fete with all the fun of the fair, Food to delight and festival finale! - The first FETE OF 2019 DON'T MISS OUT!